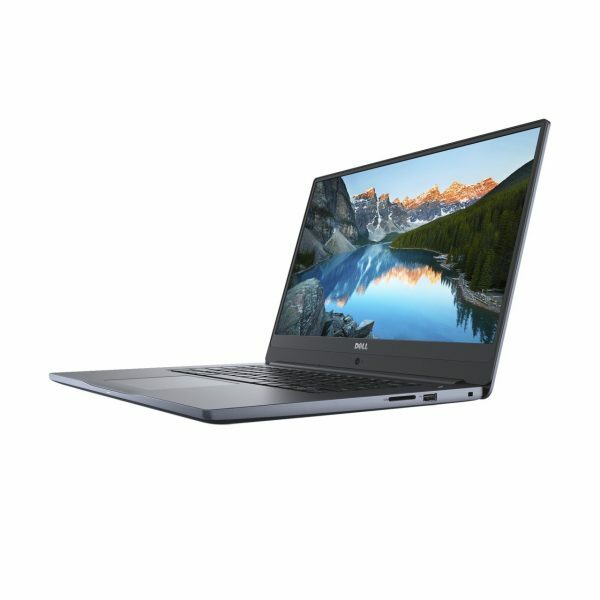 Dell India has launched today ultra slim notebook, Dell Inspiron 15 7572. This laptop comes with a long battery life, wireless connectivity and high resolution display. It also incorporates Dell Cinema with CinemaStream and CinemaSound technology for true cinematic experience. Design and features: This laptop has InfinityEdge display with FHD resolution (1920×1080) and IPS wide-viewing angle. Its expansive screen with the thin bezels offers crisp, detailed picture on-screen from every angle. Performance: It is equipped with Intel 8th gen Corei5/Ci7 Quad Core CPUs that can handle most tasks thrown at it with ease. NVIDIA GeForce MX150 discrete graphics option with up to 4GB GDDR5 memory which provides additional graphics muscle and easily handles gaming titles while providing an immersive on-screen experience. Precision touchpad : It has high resolution touchpad for more fluid panning, pinching and zooming, for an experience that’s touchscreen-smooth and quick. Video and audio experience: It also feature SmartByte and MAxxAudio Pro for the best video and audio experience. Color available : silver and gold options which gives it a premium look.